Started in Australia in 2012, The Distinguished Gentleman’s Ride now brings together 120,000+ dapper riders in 650+ cities worldwide in an effort to raise awareness of and funding for men’s mental health issues and prostate cancer. When the local Portland chapter asked if we’d be interested in being involved we couldn’t help but jump at the chance. 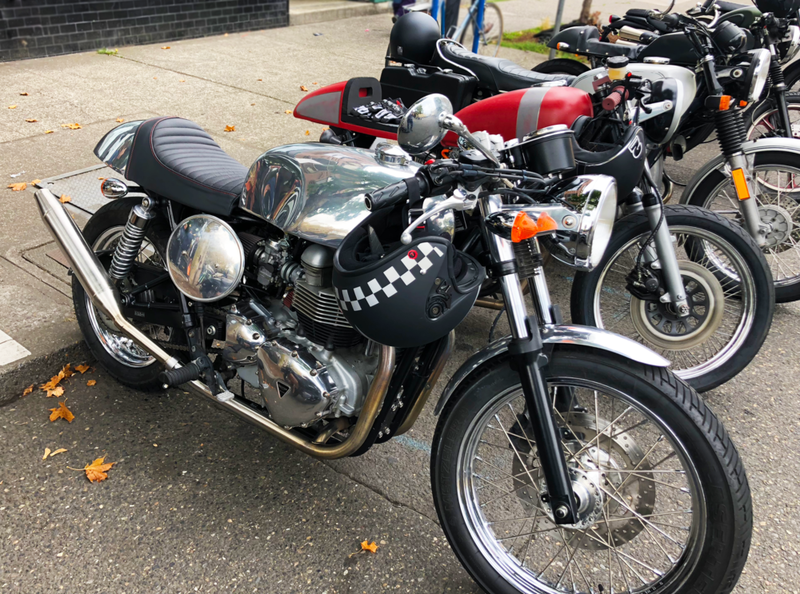 How could we pass a Sunday afternoon of amazing people, classic motorcycles, good coffee, and a chance to sling drinks while raising money for charity? Thanks to Widmer Brothers Brewing for donating beer & cider and to Two Stroke Coffee Co. for hosting! 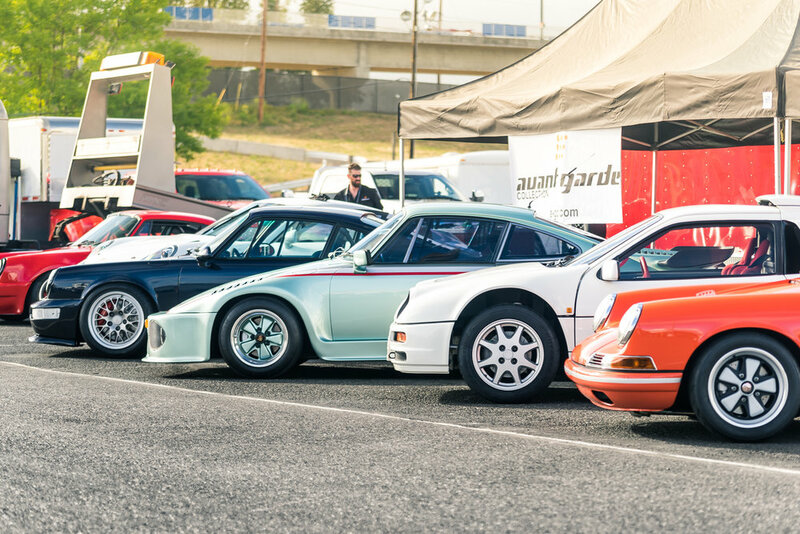 So many cool cars at the first annual Taste of Motorsports! Huge thanks to The Hive for the awesome food and Stolen Pony for providing the most epic place to lounge! 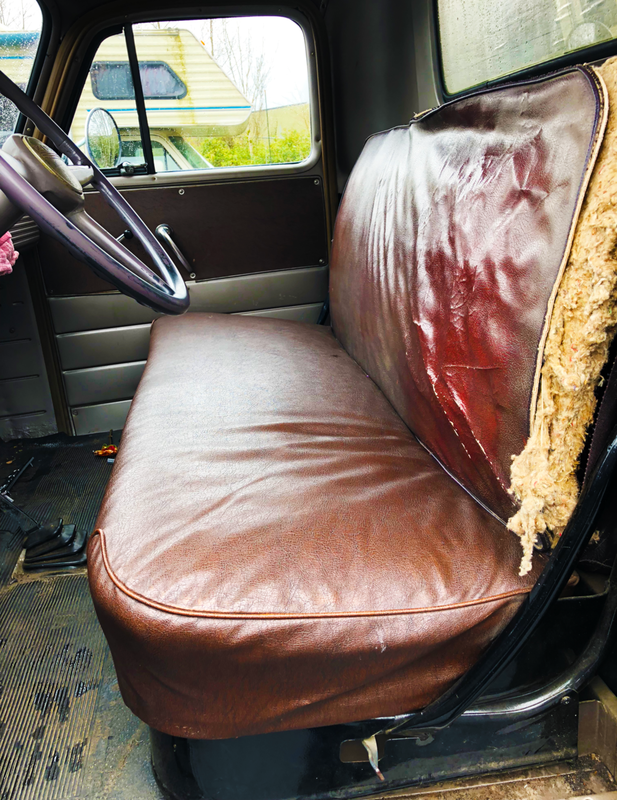 We couldn't be more excited about Betsy's new Pendleton seat! Huge shout out to Johnathan at Functional Art for the amazing work - Perfect lines. Flawless stitches. 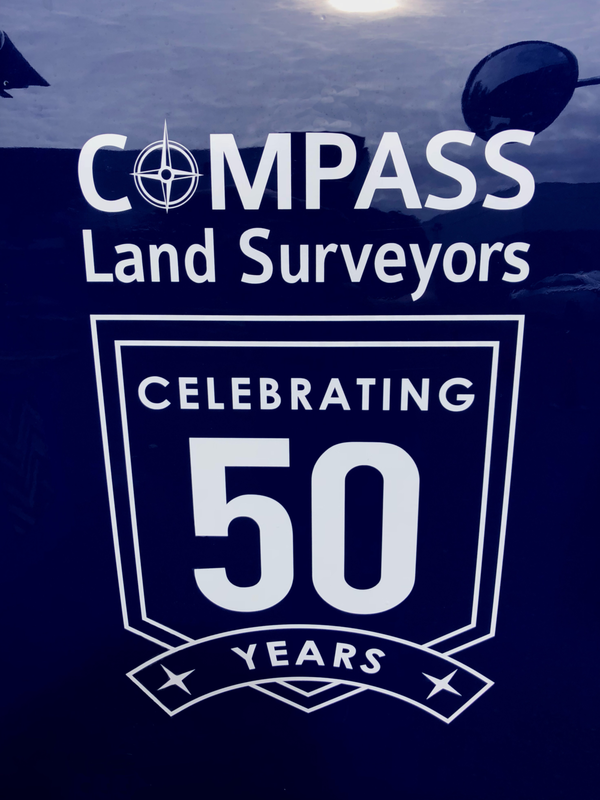 From great grandparents to little babies, it was so great getting to meet all the hard-working folks at the Compass Land Surveyors 50 year celebration! 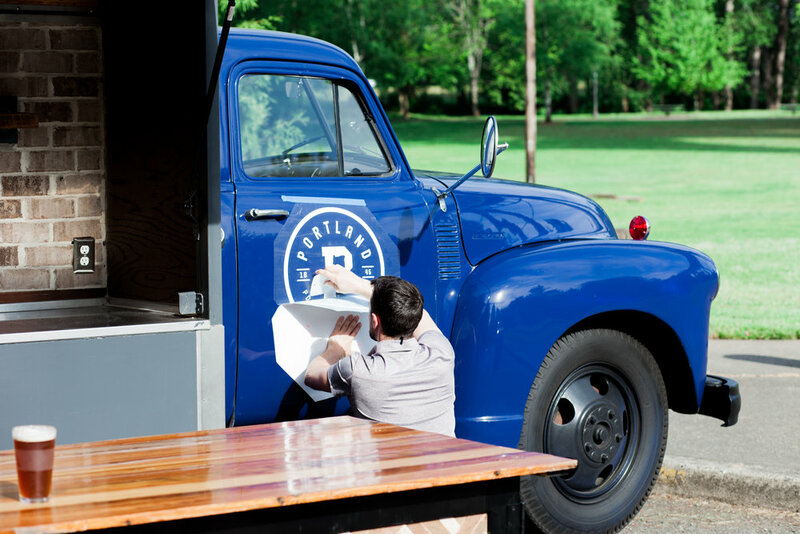 pFriem pints + the Paydirt patio + PDX spring = The perfect tap takeover! 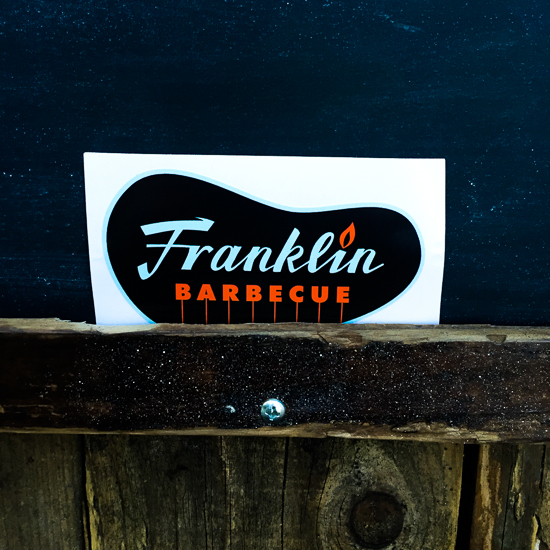 As you might have noticed from our photos, we love putting our vinyl cutter to work on new door decals. 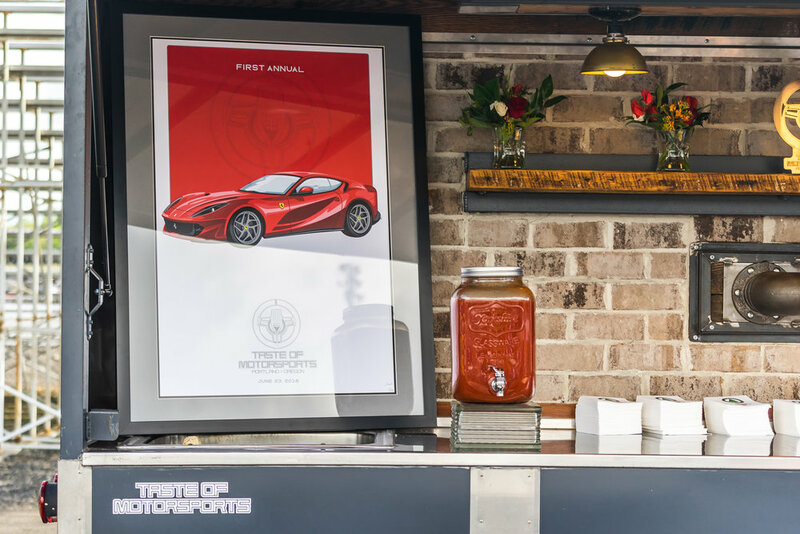 It's our way of adding a one-of-a-kind touch to your event — making Betsy truly yours for the day. Company party? Shoot us a vector file of your logo. Wedding? Add your initials to one of our custom designs! It was SO much fun seeing all the festive folks at the finish line of this year's 40th Anniversary Shamrock Rock! 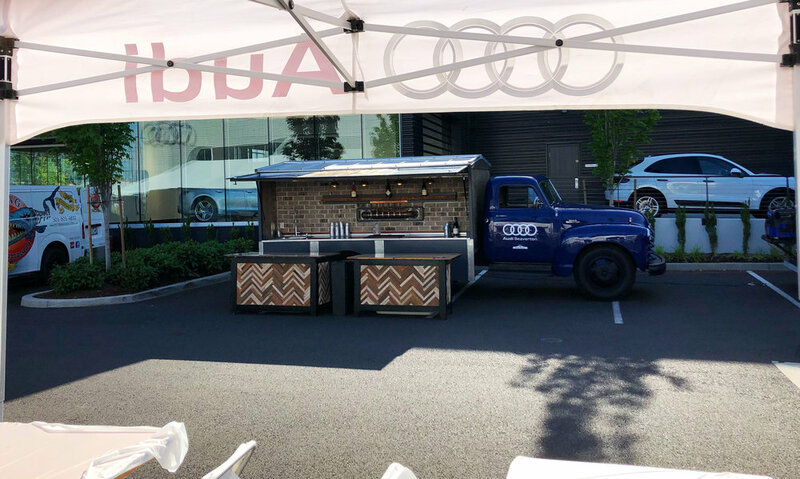 Huge thanks to Widmer Brothers Brewing and Oregon Beverage Service for providing the beer and bartenders. They were great to work with! What better way to celebrate the 4th of July than with a true American Classic--Betsy the Booze truck! Huge thanks to the Hidden Creek Polo Fields for hosting such an amazing event! 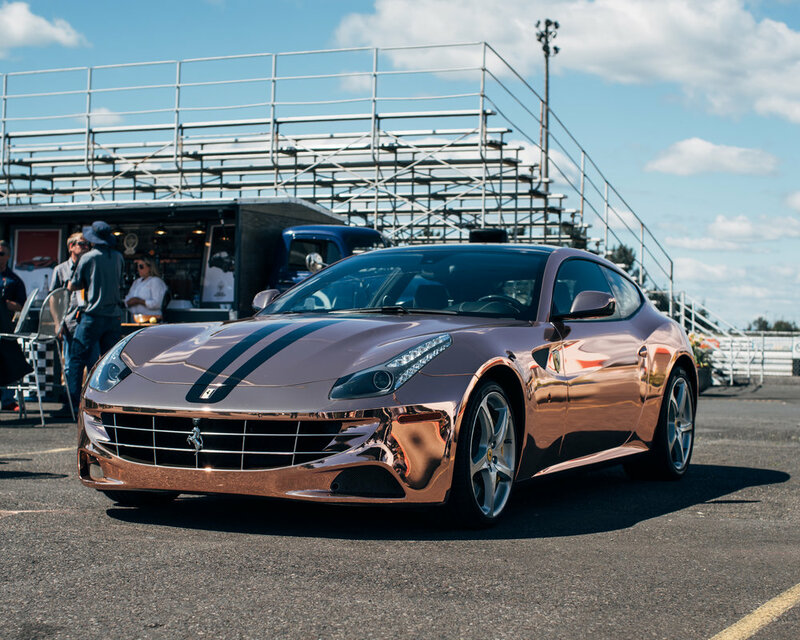 We had so much fun helping Eastside Distilling fit in perfectly at the Portland International Auto Show. 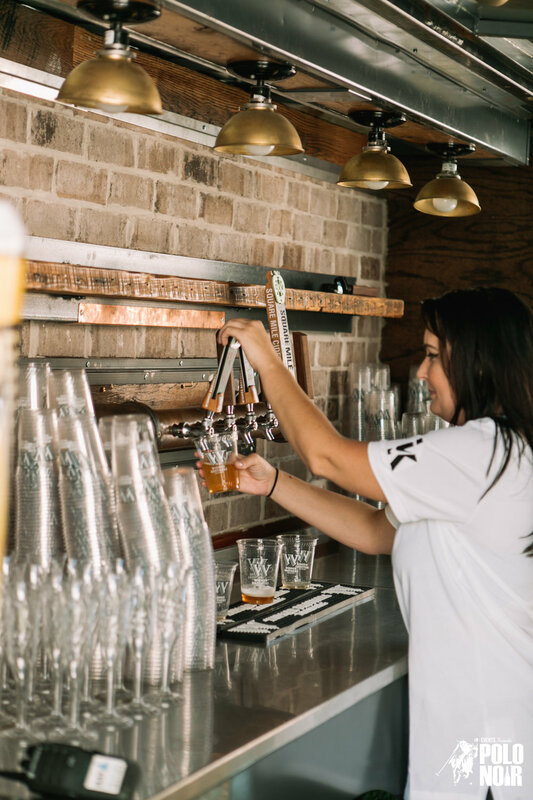 While built for beer service, we're fully capable of running cocktails, wine, and all other beverages from the Betsy. 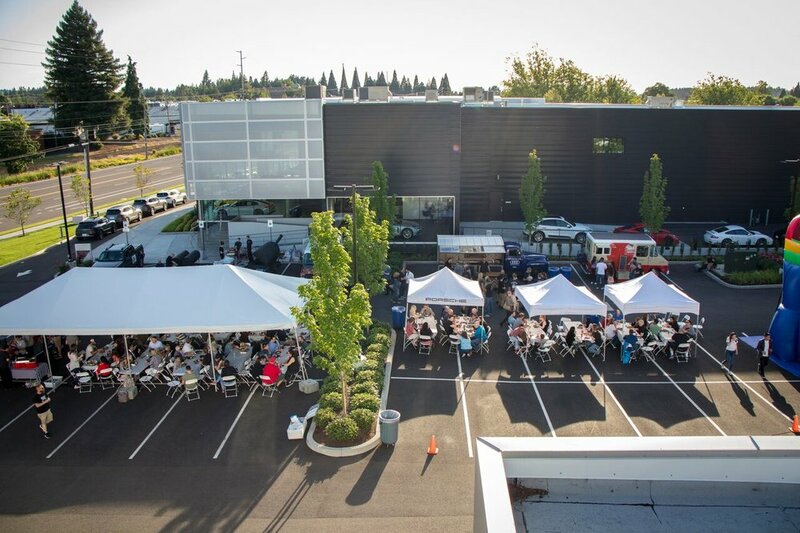 What do Feast Portland, BBQ legend Aaron Franklin (Franklin BBQ), Stumptown Coffee, Woodsman Tavern and Deschutes Brewery have in common? 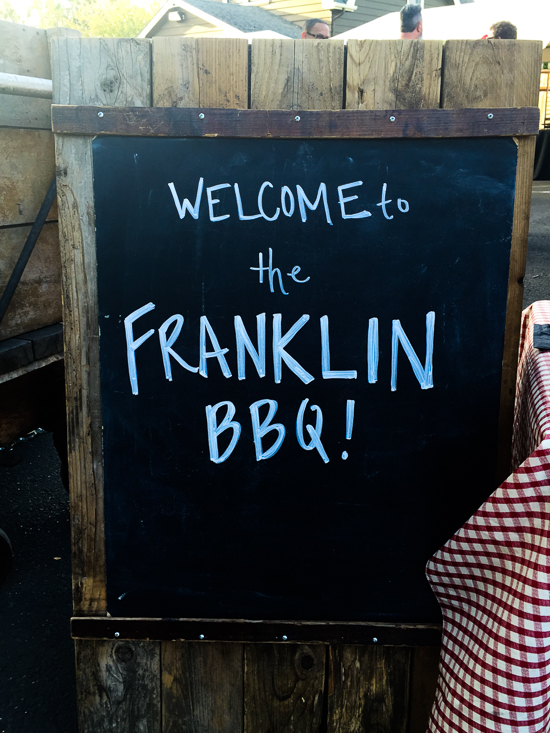 They all welcomed Betsy to the Franklin Barbecue & Family Fun Size Event for the September 2016 Feast Portland! Betsy rolled up to the Woodsman Tavern parking lot and setup shop. Deschutes Brewery provided the beer, Buffalo Trace brought the bourbon and Aaron Franklin brought the meat! 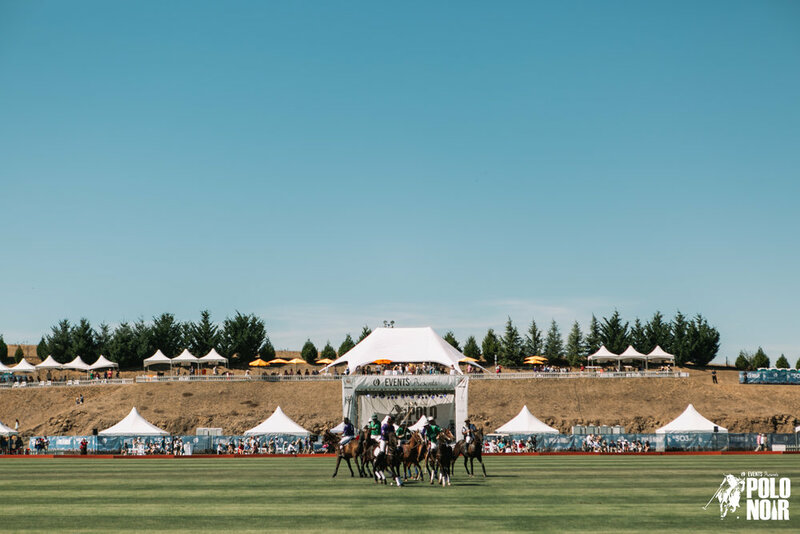 The Oregonian Media Group teamed up with 503 Media & Events to bring Portland its first legitimate Polo / Wine / Music experience at the Portland Polo Fields. 2500+ people showed up dressed to the nines to catch two polo matches followed by an intimate acoustic experience with Ben Harper. 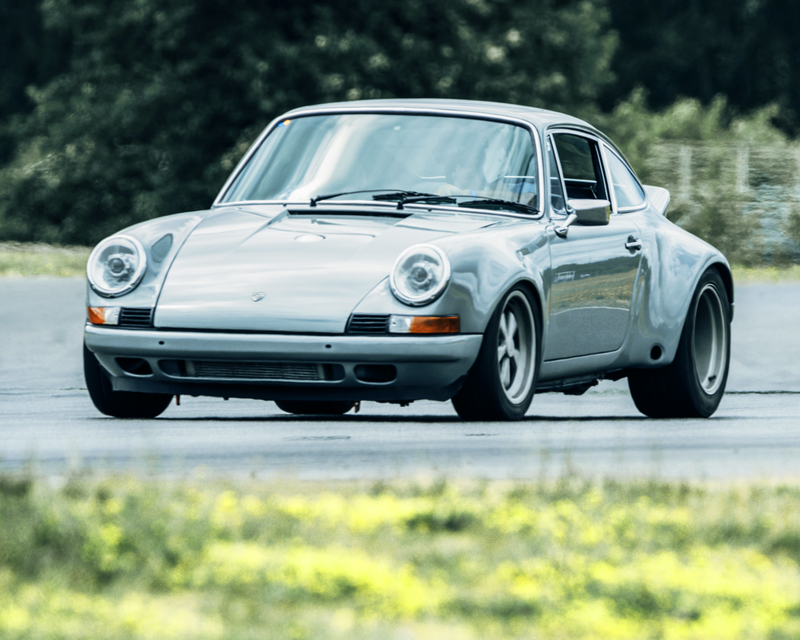 After a custom build and cross country trek from South Carolina, Betsy has finally arrived in Portland!